Each and every single weekday, the leaders of MLSP come out and spend their time so that YOU can continue to get better and better. Between the MLSP Wake-Up Call and the Facebook Lives, it's essentially a FREE Hour of mindset transformation, and how-to training every single day. The kind of stuff that you'd pay hundreds of dollars through a coach. This week were all pumped up, and we don't want you to have missed a minute of it. 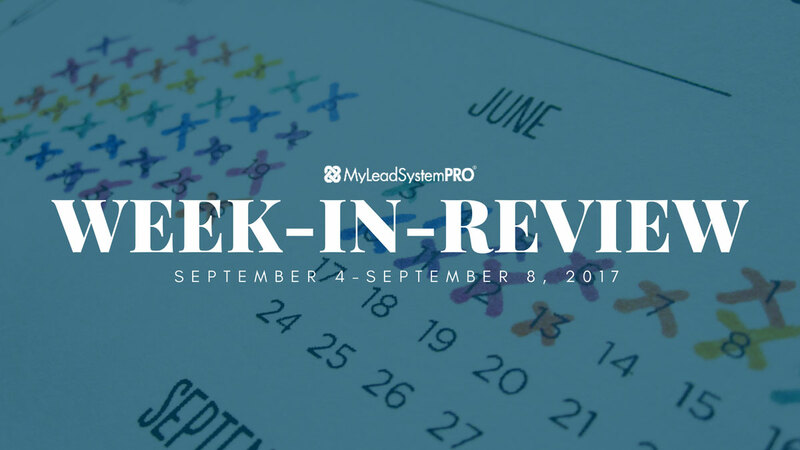 Now's you chance to catch up on the valuable MLSP training and content that went out this week. If you're running a home business, and you've got goals to become financially free, and get your family back, this is the stuff that gets your mind ready to tackle the obstacles that show up each and everyday. The important stuff that will take you to your goals. Here's what happened this week! Leah Getts, along with her husband Todd have built the dream business. By dream we mean they work from home full time, raise their kid together from home, and have a business that's constantly moving forward like a freight train. While working from home is amazing, Leah came out Monday to reveal her personal secrets to stay motivated when your energy gets low. How to shift your energy with a secret Leah got from Tony Robbins! How to start your day, to set yourself up for the rest of the day! The secret clue that means you need to crank up your energy right now! The pre-cursor that determines if you'll ever get off the couch and do anything! After that Wake Up Call with Leah, you're likely very excited to start taking control of your energy, so you feel good, and launch into productivity mode no matter what. Leah hopped on the MLSP Facebook LIVE to expand on the ideas that she spoke about. This is a woman who recruited 67 new reps into her business in just 19 days. She knows exactly how to create energy in her business, and this FB LIVE will show you how to do it as well! Ron Gelok is a great servant to the MLSP community. He's the guy who invests in himself through coaching, getting certified, and many different ways. And the beautiful thing is that he always brings back what he learns to us in the community. He brings amazing value! If you've ever heard this guy on a Wake Up Call before you've probably already hit play and not even reading this right now. If you haven't heard him you're in for a treat because you will be inspired to kick this coming week off! How to use your circumstances in life – no matter where you are in life – to see it as a blessing. The blessing of having a full time job, even if it's cutting into your time run a home business. How to use pain and frustration as FUEL to reach to your dreams. The disturbing moment that made Ron know that his job was NOT where he was meant to be. What you need to do BEFORE you can start getting uncomfortable and push yourself forward into your vision of where you want to be! Hit Play Below for Ron's Wake Up Call! If you found Ron's WUC call inspiring, wait until you see what he shared on the Facebook Live on Tuesday. He went even further into helping you see that your circumstances right now (no matter what they are) are a blessing in disguise! Everyone gets excited when L5 Bert Bledsoe gets on a Wake Up Call. The dude's just a ball of fun energy. This is a guy who knew nothing about running an online business when he first came onto the scene, but all that has most certainly changed. Now he's been able to retire his wife from having to work ever again. Listen close because Bert packed a ton into this Wake Up Call! What it takes to set your business on F.I.R.E.! Hit Play Below to Let Bert Set Your Biz on F.I.R.E.! Bert was on F.I.R.E. during his WUC and he brought his usual energy over to the FB Live. He shed more light on his amazing acronym that can lead you to success in your business. This is a guy that has the ability to amp you up and have fun while you're at it. It's a rare quality and now you get to see it in action. Hit Play Below and Let Bert set YOUR Business on F.I.R.E! Steve Krivda is a guy born to be a coach and trainer. This dude's incredibly passionate about helping anybody who wants a better life. He's got a knack like not many others for showing you how to get over the hurdles, get beyond yourself, and past the environment and your circumstances. He's hit the lifestyle that everyone is promised, defied the odds, and he gives back in droves to our amazing community! The thing that you must DECIDE if you want any hope of reaching the goals you've set for yourself. What to do daily starting right now to produce results results in life and business. Why an effective mission statement doesn't talk about leads, or sales! Hit Play Below to Hear Steve's Peculiar Secrets to Hit Your Goals ! The Thursday MLSP Facebook LIVE w/ Steve Krivda! Steve Krivda switched on and dove right in on the MLSP Facebook Live. He's determined to make YOU a champion! This powerful FB LIVE probably did just that for many who watched it. If you want to achieve your goals, then you need the mindset of a champion to do it. Steve shows exactly how to develop that mindset! Keysha Bass molds leaders. You may not realize it but she's molding the people that YOU bring into MLSP by hosting the ‘Monday Orientation Webinar' every single week. This is an amazing woman who makes no excuses for herself, and won't allow YOU to make excuses for yourself. She constantly gives back inside our community, and today is your time to experience what that looks like! What triggered Keysha's quest to to gain freedom by growing an online biz from home! What you must do at the 100% level to finally get to Live YOUR Dream! 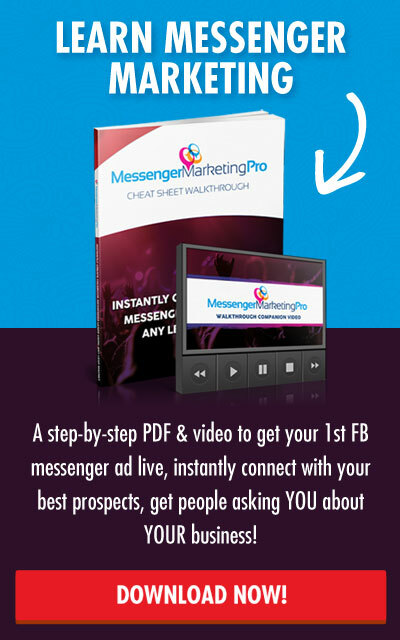 What the REAL challenge is as you do the various challenge strategies online now. How to find the real reason behind your excuses, and get past it! A favorite quote of Keysha's that you NEED to hear and live by starting now! Keysha headed right over to the MLSP Facebook Live broadcast after her Wake Up Call. She got further into the main points of her WUC and took things to a whole new level. Keysha shines on these LIVES because she delivers the things that you NEED to hear (if Living the Dream is what you're truly after.) And if it's not yet what you're after… it likely will be once Keysha's done with you! There's all the content that you may have missed during the week of September, 4 2017! It's all been laid out for you in spot, so that you can easily consume it and put into action over the following week. These are always best to catch LIVE because when you get with these leaders every morning, your days look completely different. In fact the majority of our leaders give credit for this hour being the catalyst that took their business from struggling to success, because it transforms your mind! To Your Success Over the Coming Week! P.S. 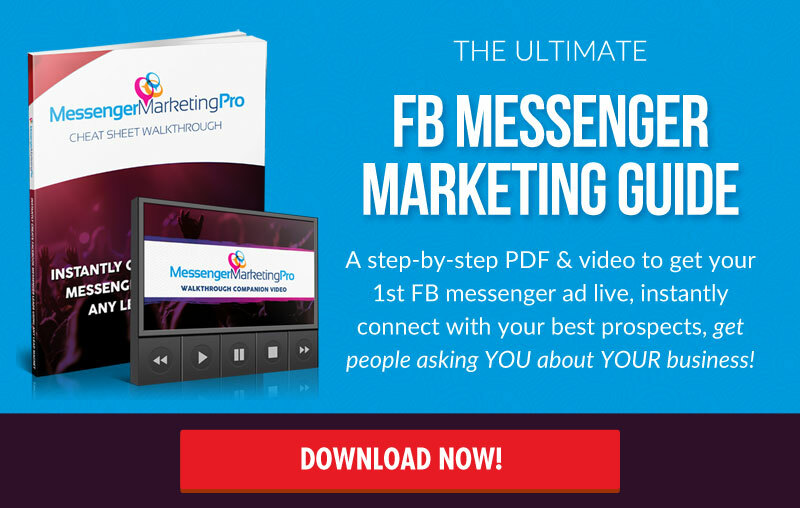 With all the talk about Facebook Messenger Marketing, if you've been wanting to start using this amazing tool that's changing the way online business is run…but you don't know where to start…we've created something just for you!